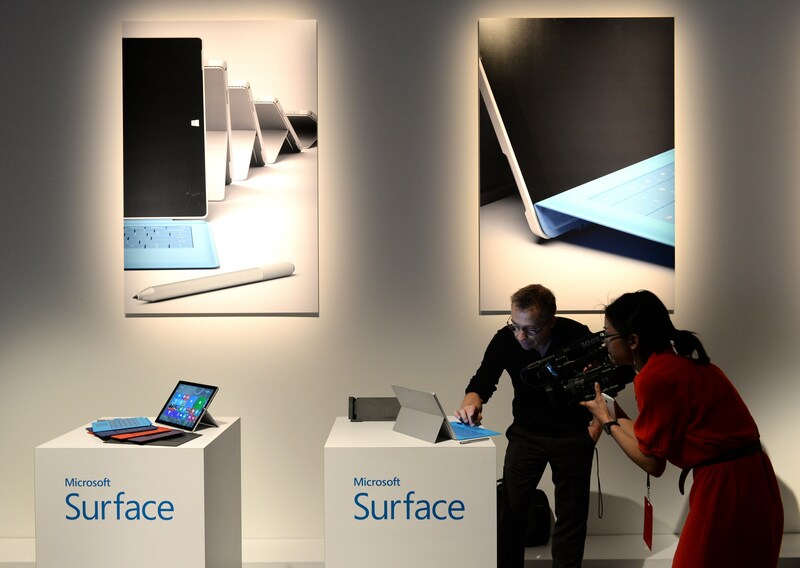 Microsoft’s Surface Pro 3 event earlier this week showed the company at its strength. For the first time in many years, it’s got most of its ducks lined up; hardware and software finally in unison. Yet, the company still finds itself in a losing battle against Apple in the tablet world and fighting ever declining PC sales. Despite Microsoft being in perhaps its best position yet, its event this week showed that the way it is going about selling the Surface is still problematic. It’s still failing at the tablet war and the Surface Pro 3 might not be the hit it thinks it has with the people that matter the most. The company has a lot of work to do. There are five key areas it needs to work on to begin dominating the market, because as it stands, consumers still don’t desire its tablets like the company desperately needs them to nor do they understand who exactly they’re for. Here’s the four things that I think the company needs to do in order to take Windows to the next level. This is the one that I believe Microsoft needs to act on most urgently. The company needs to move toward a world where the desktop does not exist on tablets. Perhaps it’s there but disabled unless the user enables it, or perhaps it’s removed altogether, but the desktop is adding a huge layer of complexity that’s entirely unneeded on this type of form factor. The desktop makes Microsoft’s tablets cumbersome and confusing to use. Anyone who’s used one can testify to being thrown in and out of it regularly. It’s not necessary for most users and I bet Microsoft’s data reflects this for the most part, but right now it’s likely that the company believes because its store doesn’t contain enough tablet apps to lure users across from the desktop. I would hazard a guess that the entire reason the desktop mode is even still there is because Microsoft has failed to ship a touch-first version of Office (but ironically shipped one for iPad) and needs to pretend like it’s necessary to have desktop mode in the meantime, while its flagship apps still need it. Anyone who needs the power of a PC can and should just buy a PC. The point of buying a tablet is that it’s cheaper, smaller, lighter, simpler, and more power-efficient than a traditional PC. Those advantages are only possible because tablets don’t try to be all things to all people. The iPad got popular because it wasn’t a MacBook and didn’t come with any of the hassles of using a full machine. Instead of focusing on Windows tablets that do everything, Microsoft should remove the desktop by default and distance itself from it on these portables; it’s a bad experience for these users and would be better hidden or removed, with the ability to reinstall it if users want, which brings us to the second point. 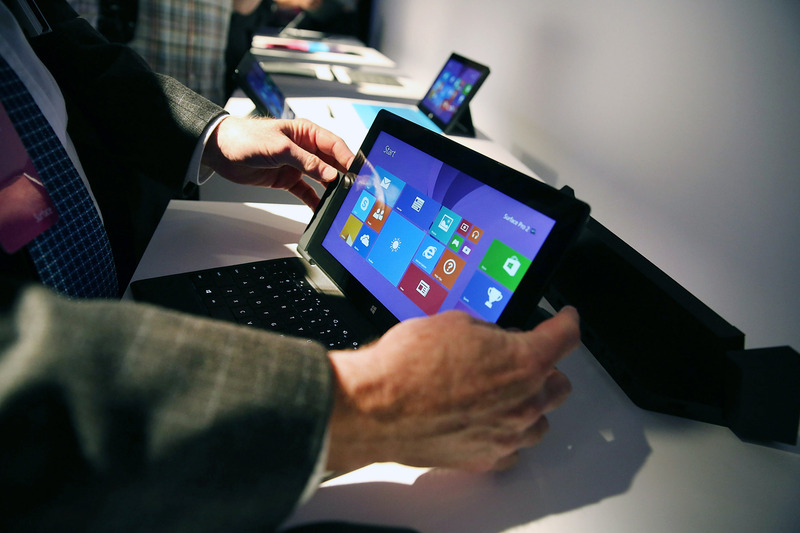 Tablet PCs should always get the latest version of Windows, for free. No questions asked. All other platforms have made a point of doing this and Microsoft needs to follow suit. It’s something that likely terrifies the company, as much of its income comes from this money, but in order to convince potential buyers to jump across, it needs to give them some assurance that they won’t have to pay $99 at the end of the year to upgrade to Windows 9. The way that it should do this, is to make the Modern UI version of Windows completely free. Sort of like the odd Bing-sponsored version of Windows 8.1 (which could be a trial before a wider rollout), but with the desktop completely ripped out. Users that want the desktop back should be able to purchase the functionality and have it installed onto their devices as a low-cost upgrade. My bet is that most tablet buyers don’t want or desire to have the desktop on their tablets and would never have any desire to see it there. This option gives the large group of old-school Windows users the ability to get the mode back if they desire for a small fee, but hides the complexity from your average user. The problem is, for Microsoft, this isn’t possible at all right now. It can’t give away a free version of Windows without the desktop because it still needs to be there for its dated Office suite to function. Rumor has it that the ‘Gemini’ Office suite that should ship later this year will be a touch-first version, so perhaps Microsoft will start moving further away from the desktop after this. What’s important, when Microsoft eventually releases a touch-first Office suite, is that it is provided for free with all tablets. It can’t be an added extra anymore, nor can it be a subscription service. The company provides Office for free with Windows RT and this needs to be extended to everything that doesn’t have a keyboard built in. 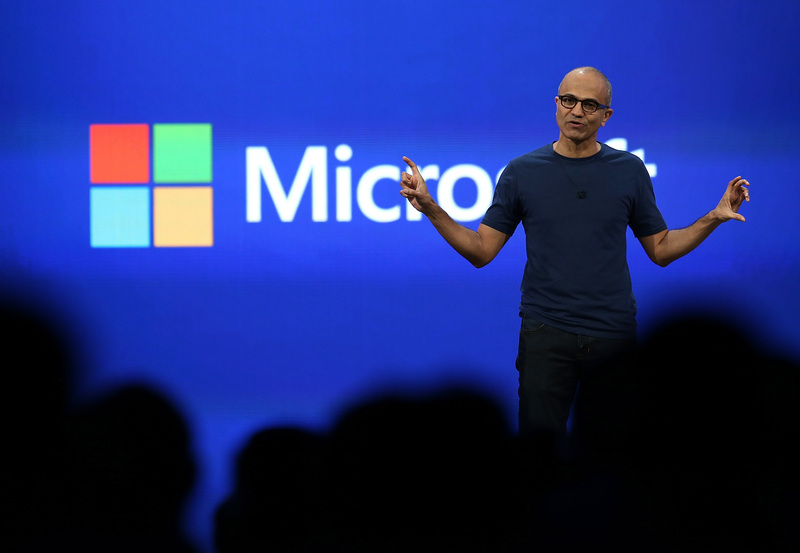 Microsoft’s competitors are giving away their Office suites for essentially nothing; Google Drive and Apple’s Pages/Numbers/Keynote offering are free services that are good enough alternatives for many users to not bother buying Microsoft’s suite anymore. Instead, the company could offset any losses from this by using the enterprise channel to monetize and support this new way of selling. By bundling Office with every tablet sold the company would be getting Office into the hands of every consumer with no extra effort required; those same consumers are likely to continue driving adoption of Office in the enterprise, since it’s the suite they’re most accustomed to. Right now, Microsoft’s tablet strategy looks stunted and a little silly with its claims that Windows tablets are superior because they have Office. A desktop version of Office that doesn’t do touch well at all is not a selling point, but when the company releases a touch-first version, it really will be a huge advantage, so it’s a good opportunity to push it hard by making it free for everyone who buys a tablet. The problem that Microsoft so nicely presented for everyone at its Surface Pro 3 event this week is that it wants its devices to be good at everything. It hasn’t really decided if its tablets are laptop killers or tablet killers, so it’s just kind of both. Unfortunately, these Windows 8.1 tablet ‘convertibles’ aren’t particularly great at being either of these at any given time. They’re pretty good at being a tablet, but not great (mostly due to the lack of apps and the half-assed commitment to Modern UI being where you should be all the time). They’re pretty good at being a laptop, but not great at it. Apple has spent years crafting the PC into the best form it could find and it turned out that the perfect laptop was a MacBook Air. This is evidenced by almost all PC manufacturers eventually coming to the point where they just cloned it with their own slight deviation on the design. Instead of focusing on being good at both a tablet, a laptop and a PC, I think Microsoft should have pursued the angle that it’s a best-in-class tablet that’s also a great creation device. Instead of pushing the fact that its tablets have a mouse(!) and can pretend to be a laptop, push the fact that they offer great tablets for touch and that just so happen to have keyboards for when you need to get down to serious business. Yes, these tablets can do everything your PC can do, but no it can’t do it better. Instead of focusing on the fact that it can be a PC, instead the company should focus on stating that these devices can do everything a tablet like the iPad can do, plus it can help you be productive. The iPad is still not a good content creation device, but the Surface Pro is. 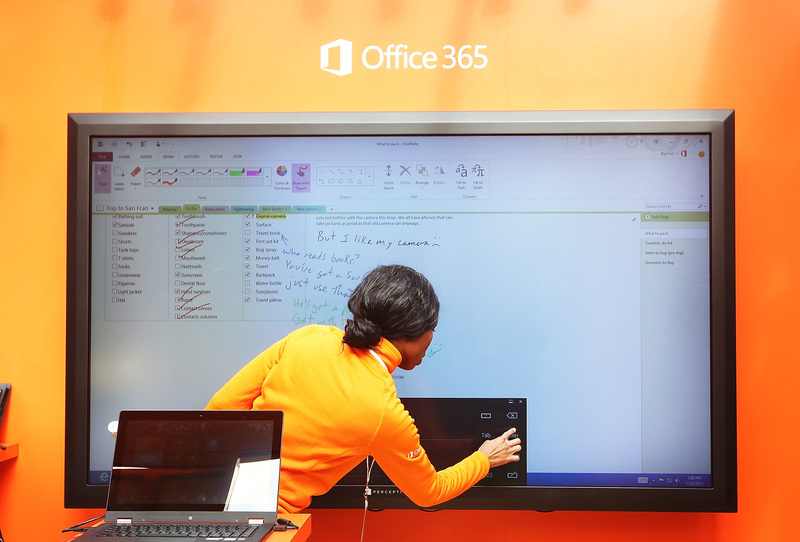 Microsoft needs to ship the new version of Office and kill the desktop in the same move. Then, Microsoft will have finally be fully committed to its new interface to be able send the right messaging; Windows tablets are not a cumbersome PC that you need to manage like a laptop, but instead are tablets that can do more than you’re used to being able to do. Users want less in tablets; Apple showed that people desire the iPad even though it’s a stunted version of the MacBook that can only do one task at a time, but that’s why it appealed at first. The fact that the iPad can’t do everything is the unique selling point for Apple, whereas Microsoft wants you to do everything on your tablet but hasn’t quite separated itself from the old, PC way of doing things with a pointer yet. Even though we’ve had a glimpse of the new Office, it’s doubtful that any of these drastic changes could begin until Microsoft ships Windows 9. By then, I would expect that Microsoft will have killed the desktop on tablets, but I’m not sure it’ll include Office for free, instead likely opting to offer it as a subscription service through Office365. Right now, Microsoft is convinced that the tablet is essentially a laptop in a different form factor, but it’s wrong. If it can’t bring itself to stop pushing this agenda, its tablet strategy might just be doomed. If it can, however, kill the desktop and all the complexity that comes with being a full PC and focus on just the tablet part, it might just win over consumers.